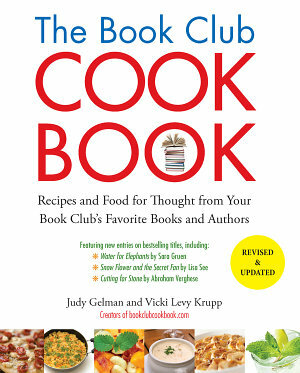 The Book Club Cookbook will add real flavor to your meetings! The first complete guide (for adults and kids!) 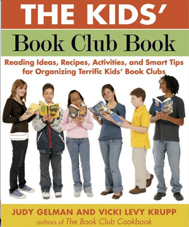 to creating fun and educational book clubs for kids. From recipes for the Dump Punch and egg salad sandwiches featured in Kate DiCamillo’s Because of Winn-Dixie to instructions on how to make soap carvings like the ones left in the knothole of a tree in Harper Lee’s To Kill A Mockingbird, The Kids’ Book Club Book provides a bounty of ideas for making every kids’ book club a success. 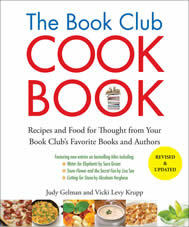 As authors of The Book Club Cookbook, the classic guide to integrating great food and food-related discussion into book club gatherings, Judy Gelman and Vicki Levy Krupp had heard a common refrain from parents, librarians, teachers, and community leaders: “How about writing the ultimate guide to creating kids’ book clubs?” With this book, they’ve fulfilled the request. recipes, activities, and insights from bestselling children’s book authors Christopher Paolini, Lois Lowry, Jerry Spinelli, Nancy Farmer, Christopher Paul Curtis, Andrew Clements, Pam Munoz Ryan and Walter Dean Myers, and many others. The Kids’ Book Club Book is a must-have for kids who love to read—and the adults who want to encourage and support them. Have you ever wished you could enjoy an Italian dinner with Frances Mayes? Or swap recipes with Jacquelyn Mitchard? It’s all possible in this unique cookbook that features recipes drawn from the works of today’s bestselling authors, along with intimate insights that help bring their most beloved books to life. And much, much more! 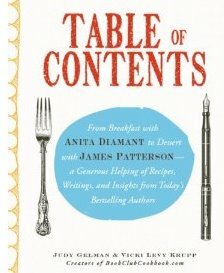 With more than 100 dishes and drinks created by fifty of today’s brightest writers, this cookbook will become a feast for your mind–and your soul!